The main option and our recommended accommodation for this year is Residencia Civitas (view the promotional video). 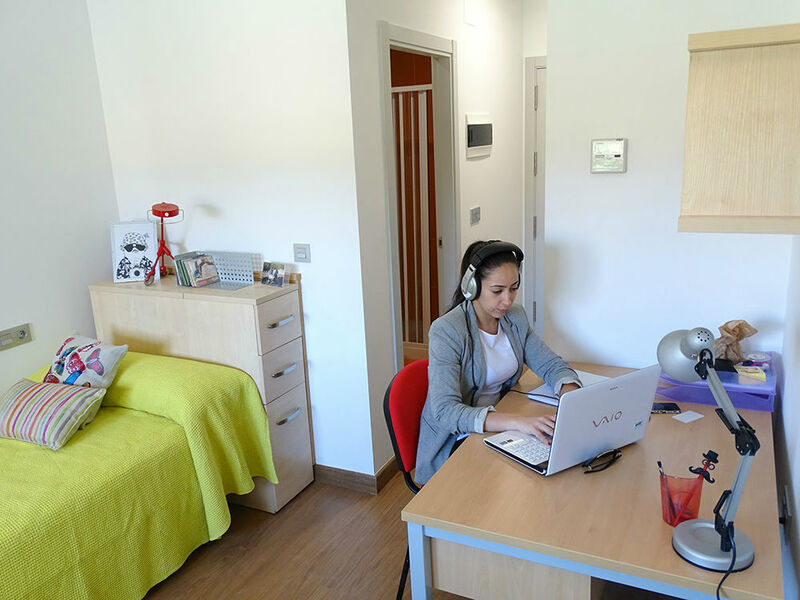 Civitas is a students dormitory with enough space for all LibOCon attendees and with great facilities. It is about 5 minutes away from the bus and train station. 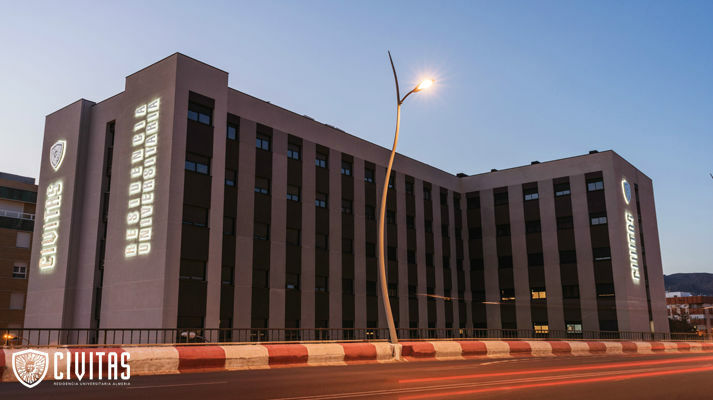 It is in a great location because of the transport connections to the university and also with Almería downtown. When making your reservation, remember that there is dinner available at some of the planned evening events. Each floor has a common room with where you can relax and chat with other attendees. My name is FULL_NAME and I want to make a reservation for the LibOCon 2019 conference at the University of Almería. Payment will be made in situ. Not prepaid required for non-visa applicants. When sending your booking mail add a request for your visa proof of accommodation. Due to legal reasons CIVITAS is required to ask you to prepaid your booking by a bank transfer. You'll receive the bank transfer details by e-mail. Calle Fernán Caballero, 1, Almería (Spain). If you find any trouble just use the alternative address: Nuestra Señora de Montserrat, 102, Almería. Get off at «Estación Intermodal», bus stop #292 (you can check the wait time). This is just outside the bus and train station. Walk 5 minutes to Civitas (check the OpenStreetMap route). #462, from the university campus. Civitas is about 20 minutes walking from the beach. Has a mall 10 minutes walking. Has a couple of ATM's in the nearbies. And is 20 minutes walking from the city downtown center.